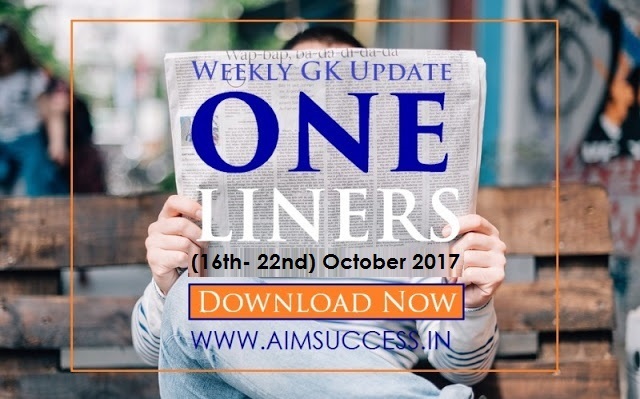 Weekly Current Affairs One Liners (16th October- 22nd October) 2017 : The one liner of the week is a recap of the important happenings that occurred between 16 October and 22 October 2017. The important happenings of the week covered in this segment include Saksham Yojna, IamThatWoman campaign and Indira Gandhi Award for National Integration among others. Defence Minister Nirmala Sitharaman will commission an indigenously-built anti-submarine warfare stealth corvette INS Kiltan into the Indian Navy at the Naval Dockyard in Visakhapatnam. Prime Minister Narendra Modi will inaugurate the first All India Institute of Ayurveda (AIIA), set up along the lines of AIIMS, on Ayurveda Day. Set up as an apex institute in New Delhi under the ministry of AYUSH, the AIIA aims to bring synergy between Ayurveda and modern diagnostic tools and technology. Exercise INDRA-2017, the first ever Tri Services Joint Exercise between Indian and Russian Armed Forces will be conducted in the Eastern Military District of Russia from 19 to 29 Oct 2017.The 11-day Exercise INDRA-2017 will be conducted at the 249th Combined Army Range Sergee visky and in the Sea of Japan near Vladivostok. Bollywood actor VarunDhawan’s first ever wax figure will be the fourth from India to join Madame Tussauds Hong Kong with those of Mahatma Gandhi, NarendraModi and Amitabh Bachchan currently on display. He will unveil it in the first quarter of 2018. Gujarat govt has signed MoUs worth Rs10,400 crore with three companies that have the potential of creating 21,300 job opportunities in the state. The MoUs were signed in presence of Chief Minister Vijay Rupani. The India International Cherry Blossom Festival will be held in Shillong from November 8 to 11. Ministry of Women and Child Development has started an online campaign #Iam That Woman. The aim of the campaign is to end Gender bias in women against women. GujaratMinister of State for Tribal Welfare Shabdasharan T advi inaugurated the Birsa Munda Tribal University in the tribal-dominated Rajpipla town in Narmada district. Madhya Pradesh Chief Minister Shivraj Singh Chouhan inaugurated the ambitious ‘Bhavantar Bhugtan Yojna’ for the farmers of the state and it is also the first state to led money at zero percent interest rate. IN Ships Tir, Sujata, Shardul, and ICGS Sarathi are visiting Jakarta, Indonesia from 18 to 22 Oct 17. The visit is aimed to expose the trainees to the conduct of IN warship in foreign waters, port familiarization and foster bridges of friendship between the two countries. The Maharashtra government has released a sum of Rs 4,000 crore, in which Rs 3,200 crore will be for writing off the loans of 4.62 lakh farmers. Months after getting a two-year extension, solicitor general Ranjit Kumar resigned from the second most important law officer’s post, after the attorney general, citing health issues in his family requiring him to devote more time at home. Mr. Modi laid the foundation stone of various projects worth 3700 crore rupees.The projects include four sewerage projects under Namami Gange and four National Highway projects. These projects include a six-lane bridge over river Ganga. Going digital, the Rajasthan assembly has become the first in India to call attention and adjournment motions and proposals online from legislators to send them to the state government. The weeklong celebration of ‘Beti Bachao Beti Padhao’ by the Department of Social Welfare, A&N Administration, in coordination with the A&N State Social Welfare Board culminated with a valedictory function and the launch of ‘Pradhan Mantri Matru Vandana Yojana’ at DBRAIT auditorium in Port Blair. The Bihar Cabinet approved reservations for persons with disabilities in government jobs and educational institutions. The India – Sri Lanka joint training exercise MITRA SHAKTI 2017 in its fifth edition conducted at Aundh Military Station, Pune will send a strong signal to the world that both India and Sri Lanka understand the emerging threat of terrorism and stand shoulder to shoulder in countering this menace. Andhra Pradesh Chief Minister Chandrababu Naidu on Tuesday laid the foundation stone for the TU142M aircraft museum in Visakhapatnam. Chhattisgarh government has reduced the rate of interest on loan given to women and their self help groups (SHGs) under ‘SakshamYojna’ from 6.5 per cent to 5 per cent. Accessing government data just got easier with the Odisha government today unveiling the State Open Government Data Platform www.odisha.data.gov.in. The Arunachal Assembly today passed a bill paving way for creation of a new district to be named Kamle, bifurcating the present Upper and Lower Subansiri districts. The AYUSH Festival of Stamps 2017 was inaugurated by Rajya Sabha MP Vinay Tendulkar at Maquinez Palace in Panaji, Goa on October 17, 2017. Pakistan and Iran have agreed not to let their territories be used for terrorism against each other as the two neighbouring countries signed an MoU to improve border security management. The South Pacific island nation of Vanuatu has become host to the world’s first government to accept bitcoin in exchange for citizenship. The Indian Institute of Science (IISc) in Bangalore and IIT Bombay are among the world’s top 200 institutions for engineering and computer science, the Times Higher Education subject-wise rankings have found which was topped by Stanford University. India and Japan have signed a memorandum of cooperation on Technical Intern Training Programme (TITP), the government. The 15-member nations including Pakistan have been elected to serve on the United Nations (UN) Human Rights Council and the other countries are Afghanistan, Angola, Australia, Chile, the Democratic Republic of the Congo, Mexico, Nepal, Nigeria, Pakistan, Peru, Qatar, Senegal, Slovakia, Spain and Ukraine. The US has decided to release the crucial Electromagnetic Aircraft Launch System (EMALS) for the Indian Navy’s future aircraft carrier, according to the Trump administration. NATO states opened a counter-espionage hub in Poland, aimed at expanding the alliance’s intelligence-gathering capabilities amid tensions with Russia. General Insurance Corp of India (GIC Re) kicked off its mega Rs 11,370 crore initial public offer. This is India’s third biggest IPO ever after Coal India’s Rs 15,200 crore and Reliance Power’s Rs 11,700 crore issues. Union Minister of Petroleum and Natural Gas and Skill Development and Entrepreneurship, Shri Dharmendra Pradhan, led a delegation to Tokyo, Japan from 17-18 October 2017 to participate in LNG Producer- Consumer Conference. Canada will be the partner country at the 23rd iteration of the Tech Summit, India’s largest knowledge and technology conference and exhibition to be held from November 14 to 15, 2017 in New Delhi. The Summit is organized by the Confederation of Indian Industry (CII) and the Indian Department of Science and Technology (DST). Hyderabad’s Rajiv Gandhi International Airport (RGIA) has ranked No. 1 in the Airports Council International’s (ACI) service quality survey in the category of 5 to 15 million passengers per annum. 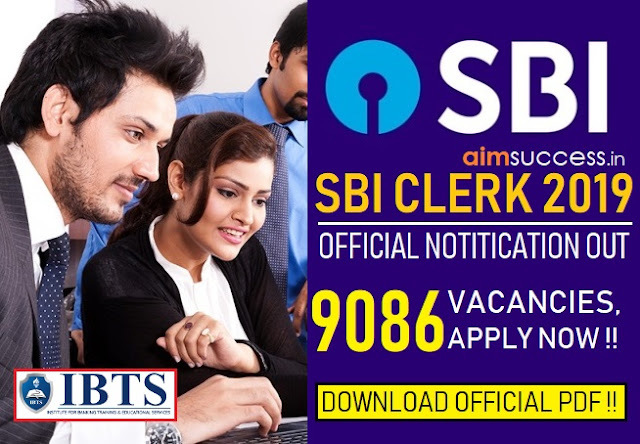 The Odisha government’s Directorate of Treasuries and Inspection and the State Bank of India have signed an MOU for integration of SBI e-Pay with cyber treasury. The National Investment and Infrastructure Fund (NIIF) of India it has signed an investment agreement worth $1 billion with Abu Dhabi Investment Authority (ADIA). 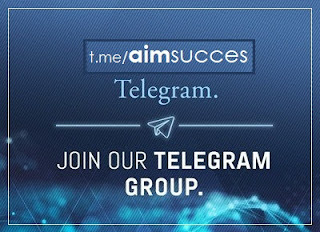 International Business Machines Corp. (IBM) announced the launch of IBM Block chain, a new block chain banking solution, that will help financial institutions for cross-border payments. Private sector Yes Bank said it has committed Rs 156 crore to fund first Sewage Treatment Plant (STP) to be constructed at Varanasi under Hybrid Annuity-PPP Model. Bangkok Bank to launch faster, better, more international services – signs deal with Intellect Design to implement its iGTB Digital Transaction Banking Platform. E-commerce major Myntra launched its CSR initiative in association with the Union Textile Ministry, to work directly with weavers and elevate their economic stature. The Jaipur and Srinagar Airport got First and Second rank respectively in the category of 2-5 million passengers in ACI-ASQ Survey. Employees’ Provident Fund Organisation (EPFO) is pleased to introduce a new facility for its esteemed members having Universal Account Number (UAN) and other relevant details to link their respective UAN with Aadhaar online. This, in turn, would facilitate the members, a better and speedy EPFO services. The Thomson Reuters Foundation conducted a survey in 19 of the world’s biggest megacities as ranked by the United Nations to find out the safest cities for women which was topped by Cairo. Mahindra & Mahindra said it has launched a programme, Prerna, to empower women working in the agriculture sector by promoting efficient and ergonomic farm tools and equipment. The software industry lobby NASSCOM is setting up centres of excellence on artificial intelligence (AI) and data sciences for a better understanding on the emerging technologies in Bengaluru and Hyderabad. HDFC Standard Life Insurance Company has received capital markets regulator Securities and Exchange Board of India‘s (SEBI) go ahead to raise an estimated Rs 7,500 crore through an Initial Public Offering (IPO). India is among the five countries – Pakistan, Nigeria, Congo and Ethiopia being the others, responsible for half of all new-born deaths in the world, according to a UN report. The report, “Levels and Trends in Child Mortality 2017”, revealed that 5.6 million children died before reaching the age of five in 2016. The Companies (Registered Valuers and Valuation) Rules, 2017 have been notified by the ministry. The rules provide for registration of valuers under the Companies Act, 2013. An extraordinary individual is 19-year-old Indian-origin student, Akshay Ruparelia, who has become the youngest millionaire in the UK. Akshay Ruparelia is the founder of doorstep.uk, an online estate agency business that has recently been valued at 12 million pounds, in just over a year. The SBI Foundation has committed Rs10 crore for the conservation and restoration of the Chhatrapati Shivaji Maharaj Terminus (CST) of Mumbai over a period of three to five years. The RBI has said banks will provide funds to women self help groups, SHGs, in rural areas at 7 per cent under the Deendayal Antyodaya Yojana – National Rural Livelihoods Mission (DAY-NRLM) in the current fiscal. Kotak Mahindra Bank and Zeta, a fintech pioneer on Tuesday announced the launch of ‘Paymint’, a comprehensive digital wallet to manage multiple employee benefits. Roger Federer has defeated Rafael Nadal in straight sets to win the Shanghai Masters title 2017. Mohun Bagan won the 37th All India Governor’s Gold Cup football tournament for the 10th time by defeating Partha Chakra by a narrow 1-0 margin. Kavita Devi,a former competitive powerlifter, has become the first ever Indian woman to be signed by the World Wrestling Entertainment (WWE). Former World No.1 Maria Sharapova tasted singles championship triumph for the first time in over two years, defeating ArynaSabalenka of Belarus in a hard-hitting affair, to win the Tianjin Open. India’s young paddler Selena Selvakumar put up an impressive show in the Junior Girls’ Team event to annex the 2017 Egypt Junior and Cadet Table-Tennis Open title. Team India’s head coach Ravi Shastri has become the highest-earning cricket coach in the world ($1.17 million), a recent report by ESPN cricinfo has stated.